Cammie Morgan is a Gallagher Girl. People outside the highest echelons of the Intelligence community have no idea what that really means and most of those that do have a glimmer have just that. To the normal world, the Gallagher Academy for Exceptional Young Women is just another elite boarding school for the female offspring of the rich and powerful. It is all that, true, but it is also so very much more, and has been for over 100 years. Just having money is not enough to get a daughter admitted to this facility. She has to be chosen and that will only happen if she is a viable candidate. Located just outside the town of Roseville, Virginia, the large building and spacious grounds possesses everything that is needed to educate its students in all the latest sciences, arts, languages, and histories needed to make the graduate a well-rounded, intelligent adult. It also teaches the History of Espionage, Advanced Encryption, Protection and Enforcement, and best of all, Covert Operations. How to disable the biggest opponent with the simplest of everyday objects, and how to avoid being a victim to the same. How to speak a dozen languages like a native and how to blend into the culture to keep from being spotted. And so very much more. Obviously, the Gallagher Academy is a school for spies. Cameron Morgan is one such student. She is 15 when the six-book series gets its start and she comes by her talents in the cloak and dagger world honestly - her parents were spies. Her mother, Rachel, was a graduate of the Academy herself and now, years later but still stunningly beautiful, she has returned to the grounds to take control as the Head Mistress, which puts even more pressure on her daughter. Cammie Morgan's father, though, has been dead for a good deal of Morgan's life, a victim of a diabolical group that will plague Morgan during her development more than once. Morgan is a very attractive young lady but she knows she is not in the same beauty league as her mother or her closest fellow student friends. She is extremely smart but by no means the smartest in the group, either. She is friendly and well liked but there are one or two in the bunch that can beat her in the charm department. What makes Morgan so unique is reflected in her codename, the Chameleon. Morgan has a fantastic talent for blending in. She is one of the best "street people" the Academy has ever seen and she can, and does on occasion, completely disappear in a small crowd. This makes her terrific at following suspects and sneaking into places and, best of all, avoiding being found. She is not perfect. She is just darn good. As the series progresses, Morgan ages through her late teens until her graduation at 18 and her entry into the real world of espionage, already a much trained and skilled operative, worthy of being a Gallagher Girl. 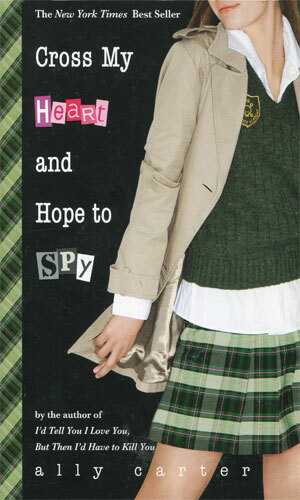 Macey McHenry is a spy-in-training. She is also a young society girl. W. W. Hale is heir to a fortune and also a master thief. Can these two work together when they are pushed into it? Trained in a huge assortment of spy craft, Cammie Morgan is able to handle far more than most high school sophomore girls but she is hardly ready for this latest challenge - falling in love. As the second semester of her sophomore year begins, Cammie Morgan must deal with an ex-boyfriend and the repercussions of the fall's activities, not to mention her mother, the head mistress former spy who is acting quite strange. Beginning her junior year, Cammie Morgan is teamed up with two of her best friends to help the security team for Morgan's roommate, Macey, daughter of a Vice Presidential candidate. Getting a bad taste of reality, Cammie Morgan is barely over the trouble from her last adventure when she finds one of her closest allies is not to be trusted, making her wonder who else is not what they seem. Waking up in a convent in the Alps not remembering the last few months, Cammie Morgan knows her life is still very much in danger as she returns to school hoping to get some answers to what happened to her. As she and her friends finally learn why a band of terrorists have been chasing her, Cammie Morgan also learns that her past is no where as dangerous as her future, if she has one. 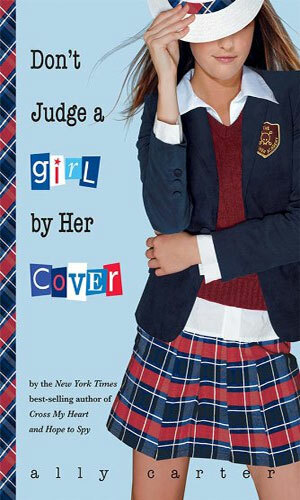 Being a man in his 60s reading a series written for teenage girls about a teenage girl agent was at first rather interesting and strange feeling. For the sake of my site, I kept from calling myself a dirty old man and pushed on. Good thing, too, because this is a fun series. 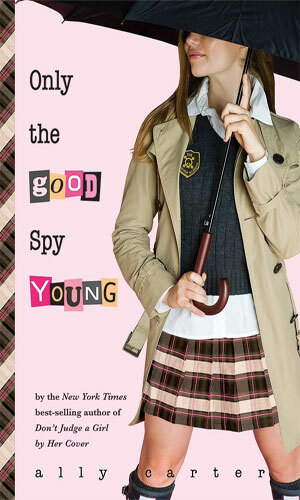 It has a ton of amusing anecdotes and quips and delightful observances by a girl who is a hoot to follow. Yes, the series is meant for girls and I am not one and it is designed for those a whole lot younger than I but it is easy for anyone reading this series to see how well it is presented. A difficulty must be there to write an often whimsical tale about very dangerous subjects but the author, Ms. Carter, definitely pulls it off. The gravity of each books tends to be a tad more than the one before, which only makes sense because the character is growing up and her assignments getting harder and more dangerous. But the overall feel of the books remains good-natured and this is a good thing. It is not serious spycraft but it is enjoyable and if my two daughters were younger than they are, I would suggest these to them.